Bitcoin or say Crypto Currency as a whole is a hot market these days. The Bitcoin that was once worth of few cents (2009-10) now valued at $11,000 (as of Jan. 18, 2018). This tremendous growth has attracted a lot of financial minds into the Crypto world. After Bitcoin, miners start mining for more coins and now there are a lot of Coins to invest in. To name the few, we have Ripple, Ethereum, NEO, Nebilio and what not. 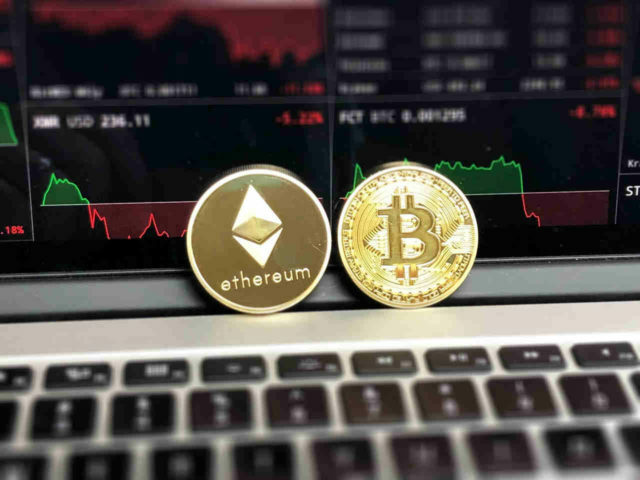 As the market is growing tremendously, some professional Crypto investors are coming up in this lucrative market. Since CryptoCurrency is a digital currency and there are always some flaws associated with the digital world. One of the biggest issue that one can face is the Security of Coins. The security is the biggest concern for anyone who is investing hard earned money in crypto. Before talking about bitcoin hardware wallets, let’s take a brief overview of Behind the scene of Bitcoin and its security. What is Bitcoin Hardware Wallet and What’s the use? A Bitcoin Wallet or any coin Wallet act as a soldier that is securing your coins. It is a program that helps you in receiving and sending coins from one account to another. A hardware Wallet also monitors the balance in your account. The wallet directly retrieved the information of the particular Bitcoin Address from Blockchain. The blockchain is a ledger for all the Crytpo Transaction and a wallet keep in touch with Blockchain with a particular Coin Address to keep you updated. The Crypto Currency works on the basis of Private Key. So, what is a Private Key, exactly? A Private Key is a password to your Gmail account. If someone knows your Private Key that means he/she also has full control on your Bitcoins or any coins. A private key is also required to create a Bitcoin Address. A bitcoin Address is a big combination of letters and numbers that are used to send or receive the bitcoin from/to your account. A bitcoin address is like your email id. If you want to receive Bitcoins or any coins, you have to tell them (sender) your Bitcoin Address at which they will send certain bitcoins to your bitcoin address. A private key is used to generate Bitcoin Address but there is zero possibility of generating a Private Key using Bitcoin Address. So, these wallets are making things easy for you. The Bitcoin Hardware Wallet uses the Private Key, keep an eye on balance in your account and add up an extra step while sending the bitcoins by authenticating the transaction. If you are a serious Crypto trader and worried about your Crypto portfolio (regarding security) a Hardware wallet is what you need right now. There are different types of wallet for securing the Crypto Coins but Cold Storage Hardware Wallet is always preferred as it is Hardware device that does not rely on some Computer Program, or a website or a mobile phone. There are websites and exchanges that asks you to store your Bitcoins with them. Basically, you are asking someone to hold your bitcoins for you which sounds like a terrible idea when it comes to security. One of the other bitcoin wallets is Mobile Wallet. The mobile wallet is also vulnerable to hackers. Hacking a smartphone by a hacker is not a big deal. 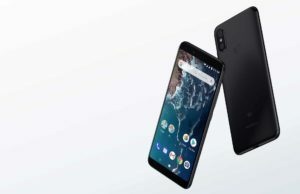 Moreover, at first place, Mobile Wallets do ask for the mobile number, access to geolocation and what not, which would sound ambiguous once some unexpected person will break down your house for your smartphone. 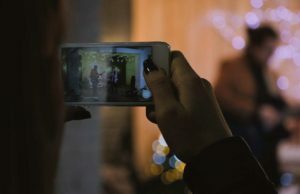 The mobile phone is being stolen, broken, hardware failures are the some of the pretty obvious reasons to not to use for Bitcoin security. Another bitcoin wallets are Desktop Wallets. We are living in an internet era where every damn thing is connected to the internet. While it seems like a great thing to us, security is still a big issue. Desktop Wallets uses computer application software that holds the private key and monitors the account balances. The wallet seems okay as long as your desktop is free from Malware. The problem is, we don’t even know if our device is infected with a malware. So, it is a good idea to drop Desktop Wallets for security. Among all the Bitcoin or Crypto Wallets, Hardware Wallets seems like a great option. Because Hardware Wallet is not associated with any software, mobile phones or online wallets. It is a hardware device that you have to connect everytime you wanted to do any Crypto transaction using your account. You can also connect this Hardware Wallet to the public computer because you have to connect hardware wallet each time you wanted to do a transaction. 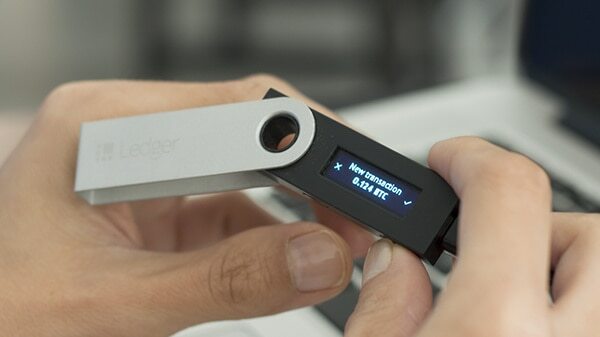 The Ledger Nano S is a first Hardware Wallet that strikes in mind while talking about Crypto security. The Ledger Nano S is a small device, packed in a Brushed Stainless Steel casing with a built-in display that provides you a user interface. 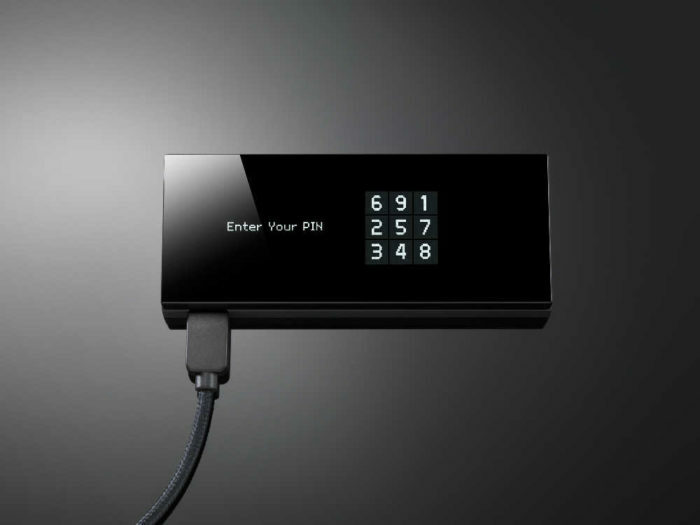 The Ledger Nano S holds the confidential data like Private Keys inside a state-of-the-art Secure Element which is also protected by PIN code. 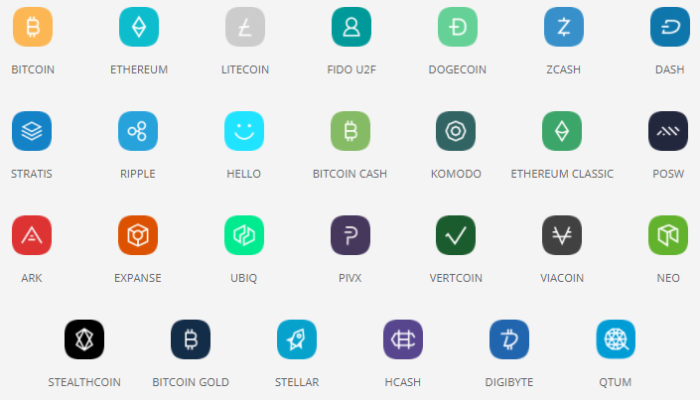 You can manage multiple coin addresses within a same Ledger Nano S. Ledger Nano S supports Bitcoin, Litecoin, Ethereum and Ethereum Classic and other blockchain based cryptocurrencies including Ripple, NEO, Komodo, Stealthcoin, Stellar etc. The Ledger Nano S also supports FIDO which is a Universal Second Factor standard that makes the authentication process easy on platforms like Gmail, Dashlane, Dropbox or GitHub. All you need is to connect the Ledger Nano S to your PC via USB and then you need to install a Chrome Extension that will provide you an interface showing your Bitcoin Balance with options of Sending and Receiving the coins. 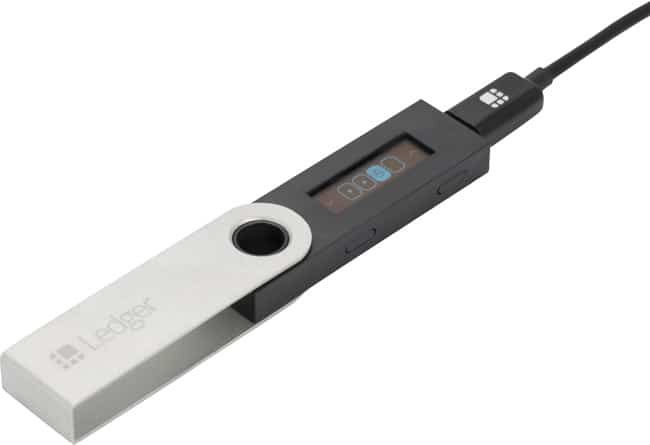 Each initiated transaction on PC has to be get authenticated by you through ledger Nano S device. No Device, No transaction. As simple as it. You must have watched James Bond movie or Mission Impossible where Evan (Tom Cruise) always has a super-powerful device for every problem. Trezor came from there. Trezor is oldest and the most reputed Hardware Bitcoin Wallet in the community. The Trezor is a small device having two physical buttons and a display, packed in a tamper-proof and water-resistant casing. Now, you have to connect the device to your PC via USB. Once you connect the device, you will be able to send the coins from your account to another account. The Trezor device came into the picture when you hit the send button. To complete the transaction, you will see a 3×3 matrix on your PC and on your Trezor device. On the Trezor device, the 3×3 Matrix has numbers from 1-9 but here is the clever thing. You will see a new 3×3 matrix everytime you ask for the transaction and you have to enter the PIN on PC, not on Trezor device. For better understanding, watch the short video. Trezor is indeed the safest way to secure your Crypto Portfolio. 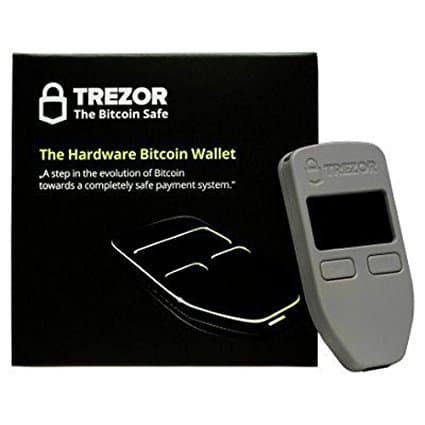 The Trezor Hardware Wallet supports Bitcoin, Litecoin, Ethereum, Zcash etc. See the complete list here. Keep Key is yet another Bitcoin Hardware wallet for securing your Crypto transactions. The main job of KeepKey is same as Ledger Nano S and Trezor. All you need is to connect the KeepKey device to your computer via USB. Whenever you transact within your Bitcoin account, the device will ask you to enter the PIN code for authentication. Without KeepKey device, no other person would be able to transact using your bitcoin account. 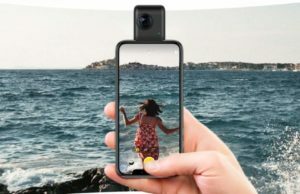 The device itself is packed in Anodized Aluminum Case with Polycarbonate Front. It has the large display at the front that provides you a clean and intuitive interface. The size of the KeepKey device is comparatively bigger than Ledger Nano S and Trezor which makes it less portable. Since Cryptocurrency market is at its full pace, there are a lot of new investors coming up on the market. No doubt, security is a major concern when it comes to Crypto. With the above-mentioned hardware wallets for Bitcoins, we can secure our crypto portfolio to a great extent. But, another problem with these hardware wallets are the prices. 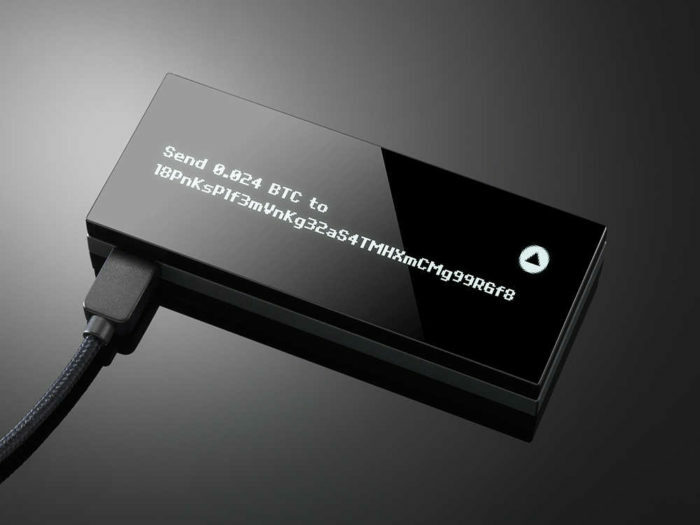 If you are an avid crypto nerd who is investing a large chunk of savings and time, you should definitely buy it but if your investment is not that much, you have to ignore the hardware wallets because hardware wallets come with a hefty price tag. But for a pro-Crypto investor, this price tag is nothing when it comes to securing his/her crypto portfolio. Do you have something to say about Bitcoin Hardware wallets? Do share it in the comment section below.